One of the most debilitating aspects of incurring a high amount of debt is the constant harassment from the creditors who advanced you the credit. 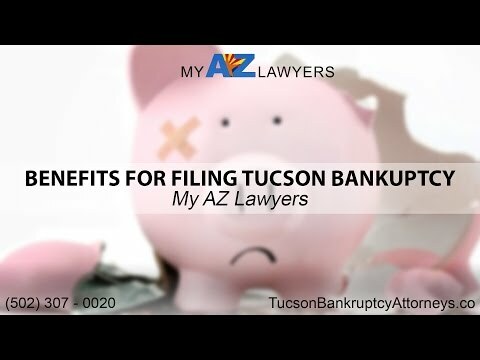 Our Arizona bankruptcy lawyers understand the emotional toll this takes on you over time, leaving you unable to make any change for the better. One of the ways to stop these creditors from contacting you is to declare bankruptcy. Once you file for Chapter 7 bankruptcy or chapter 13 bankruptcy, harassing letters and non-stop calls from creditors will stop. Let the Arizona bankruptcy law firm of the My AZ Lawyers provide you with the means of stopping such threats. Our debt relief specialists and experienced bankruptcy lawyers will stop these creditors immediately. Contact us today by either visiting one of our regional offices in Arizona near Phoenix and Tucson for your FREE consultation or set up a FREE Phone Consultation with one of our helpful bankruptcy lawyer and bankruptcy attorneys. Filing for chapter 13 or chapter 7 bankruptcy protection has many benefits. One of the most beneficial things that happens when filing bankruptcy is, as of the date your bankruptcy is filed, all of your creditors are prohibited from calling you, writing you letters, or taking any further collection activity against you. This means your creditors will no longer be able to call you at home or at work or at all hours of the day and night, they won’t be able to send you nasty collection letters, and they won’t be able to file a lawsuit against you or obtain a writ of garnishment against you. Q: Who lets my creditors know that I have filed for bankruptcy? The deadline, if any, set for filing objections to the dismissal of your debts through bankruptcy by the creditor. Stop creditors in their tracks! Prevent creditors from contacting you! Contact our Tucson, Glendale, Mesa, Chandler, and Phoenix bankruptcy lawyers today. Get your “Fresh Start” today! Schedule you free consultation today by calling (480) 833-8000 in the Phoenix Metro or (520) 306-8729 in Tucson, Arizona. You can also reach us by filling out our online form.